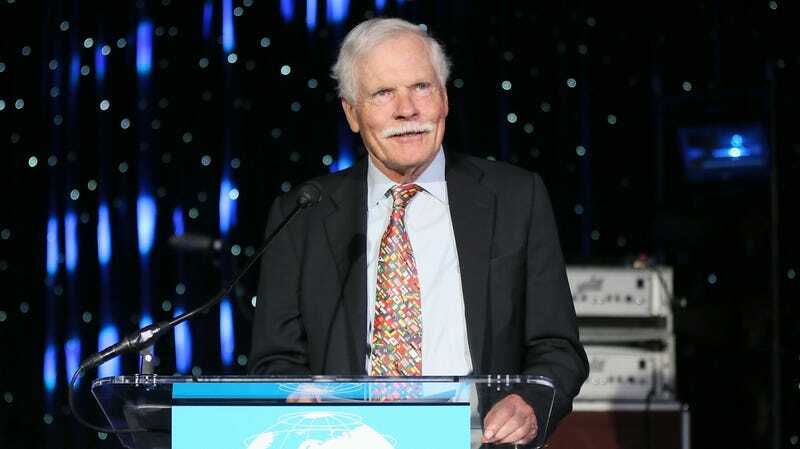 In an interview with Ted Koppel and CBS News today, CNN founder and general media mogul Ted Turner revealed that he has been diagnosed with Lewy body dementia, a progressive brain disorder that “affects memory and other cognitive functions.” Turner said he feels “tired” and “exhausted,” and that his symptoms include “forgetfulness.” Turner also noted that the “euphoric highs and dark lows” that he had gone through in the past, which had previously been diagnosed as manic depression, were actually an early symptom of this neurodegenerative disease. A Vulture story says Lewy body dementia is similar to Parkinson’s and Alzheimers, and it’s reportedly what Robin Williams was suffering from before his death. Elsewhere in the interview, Turner told Koppel that he doesn’t watch the news much anymore, saying even CNN is “stickin’ with politics a little too much,” and he noted that he once considered running for president until then-wife Jane Fonda told him that he’d “run alone” if he ran for office.